When he was slipping in and out of a coma for several months, she stayed by his bedside every single day. When he came to, he motioned for her to come nearer. As she sat by him, he said, "You know what? 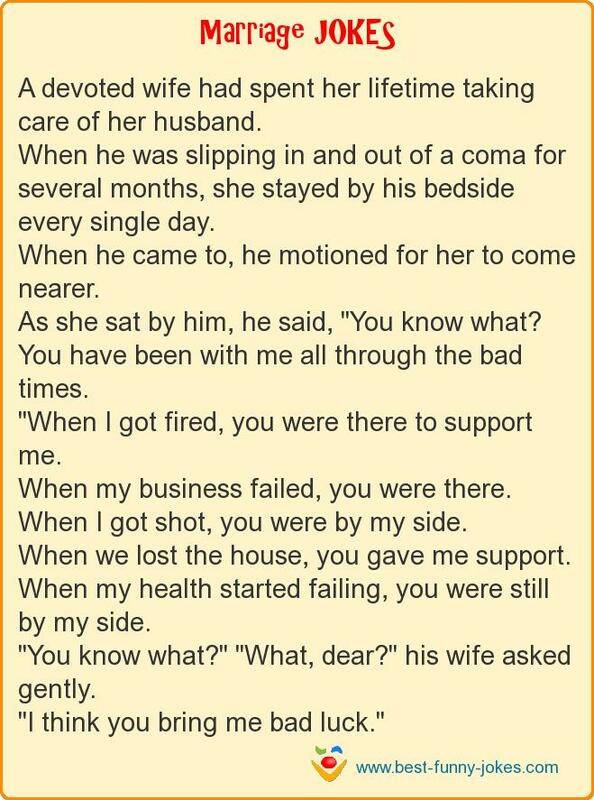 "When I got fired, you were there to support me. When we lost the house, you gave me support. When my health started failing, you were still by my side. "You know what?" "What, dear?" his wife asked gently.